The federal high court of justice decided that adblocking software Adblock Plus is perfectly legal, rejecting plaintiff Axel Springer Verlag. In an open letter, the tips of the Associations Interactive Advertising Bureau, the Association of National Advertisers and the American Association of Advertising Agencies now demand substantial reforms regarding the Coalition for Better Ads. 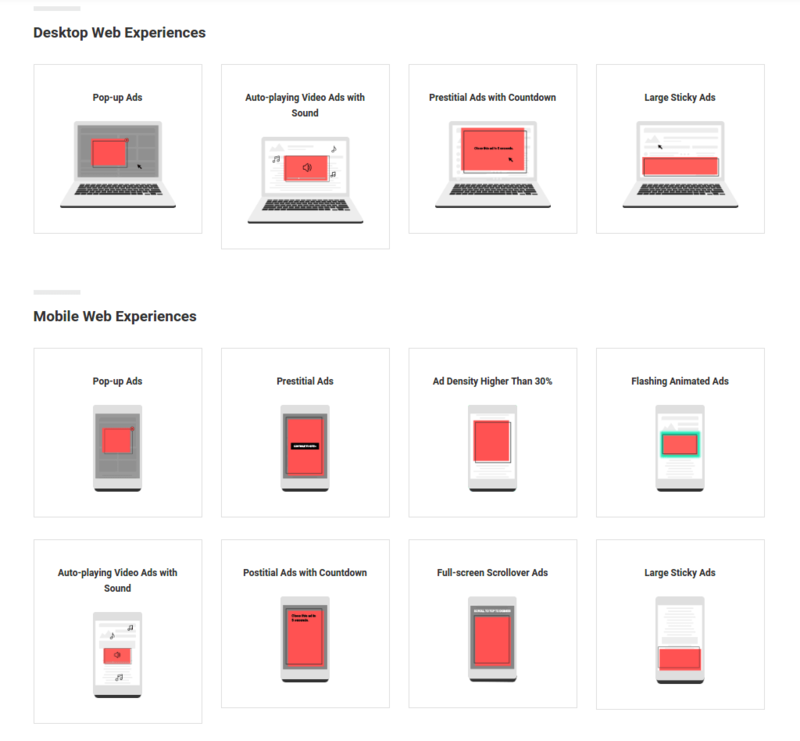 Google has announced per blog post to implement an AdBlocker into Chrome to stop showing ads on websites that are not compliant with the Better Ads Standards starting in early 2018. This is huge since Chrome has just passed the 75% browser usage mark and AdWords has a 92% reach via the Google search engine. Google will then have almost complete control over that estimated 230 billion dollar online ad market (source statista.com). 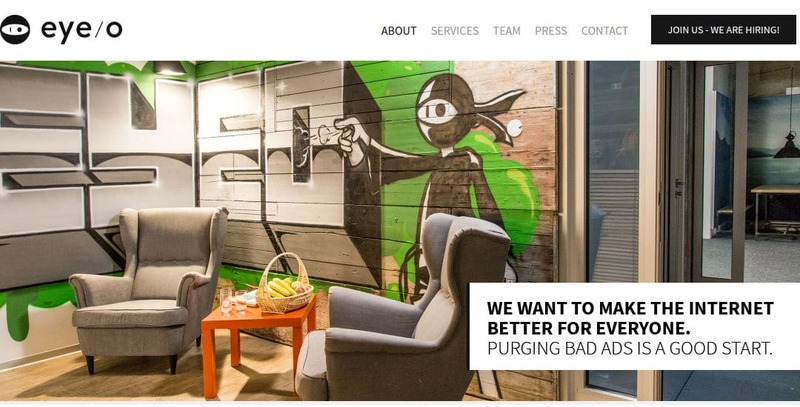 Search warrant executed at eyeo GmbH, developer of AdBlock Plus. Charge: commercial copyright infringement. Amnesty International and AdBlock have launched the Unblocker Campaign. SPIEGEL ONLINE has errected a PayWall. 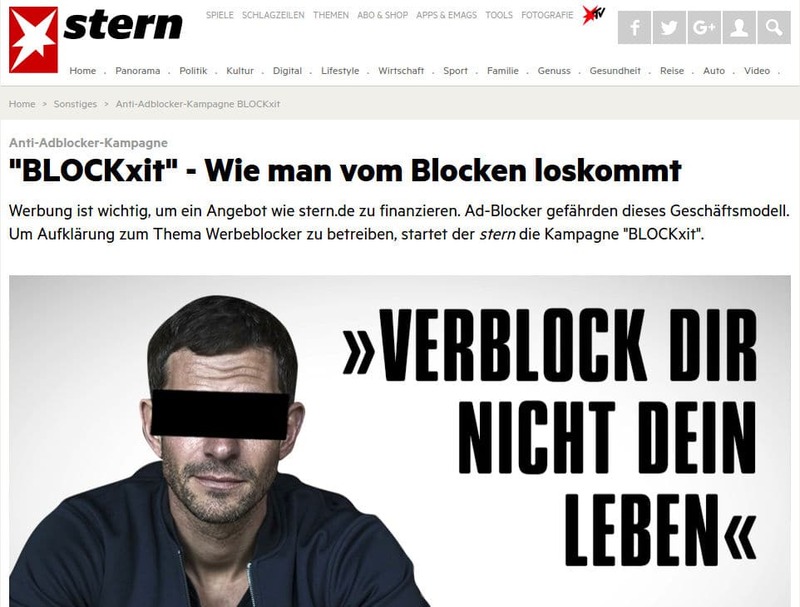 STERN has published the BLOCKxit Campaign. Media agencies have sent their lobbyists to inform our federal government about the need for action concerning AdBlockers. They claim that adblocking is illegal because a website should be considered a product in its intirety, adds included. Adblockers garble said product by interfering with the website’s software. Fun times ahead. Their last bold move backfired hard in 2013. News publishers got our clueless government to verify a law called Leistungsschutzrecht. It prohibited search engines to show news content (not even snippets in form of search results) without paying the publisher. You can probably guess what happened: Google didn’t pay anything but excluded said publishers from search results instead. Visits plummeted. Publishers cried rivers and declared a cost-neutral Opt-In to Google News. And some results are in. OLG Köln were the first to declare Eyeo’s AdBlockPlus as partially illegal. Only regarding the payed whitelisting though, not the adblocking function in general. As Axel Springer erected a so called paywall at BILD.DE in June 2013 and an adblock blocker in October 2015 but didn’t like both outcomes, it can be suspected that this will escalate to the BGH. When the internet is broken in a way, that it doesn’t work like print, someone just has to go on a crusade to fix it, right?